More knitting for little people. I wanted to send some gifts to my friend’s baby boy, but this also gets me in on the sewalong of sorts that Leah from Struggle Sews a Straight Seam is hosting. My friend lives in China, and I didn’t know that she was having a baby until the last minute, so these gifts were executed with speed and hurriedly posted last week. 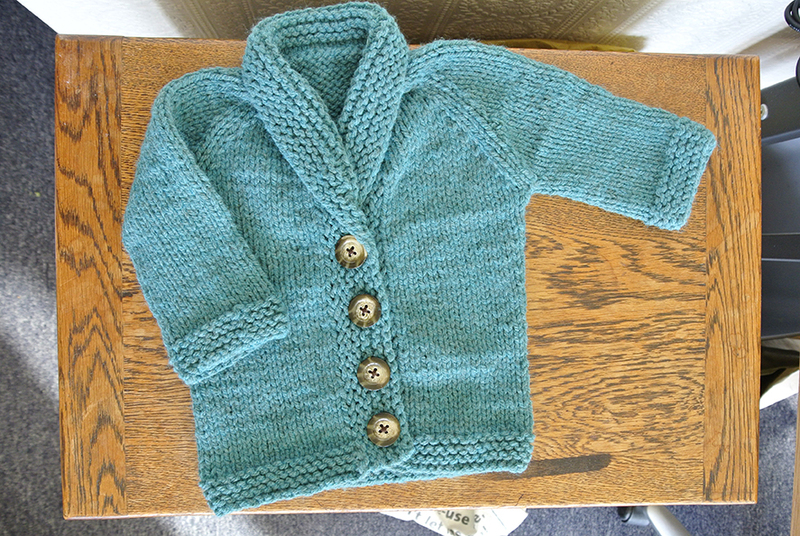 The first I made was this little cardigan, which is a free pattern on Ravelry. It’s called the Baby Sophisticate, and I must agree, it does seem pretty sophisticated. I was going to use bright orange buttons, but opted for these faux tortoiseshell guys instead, to keep in line with the pattern. 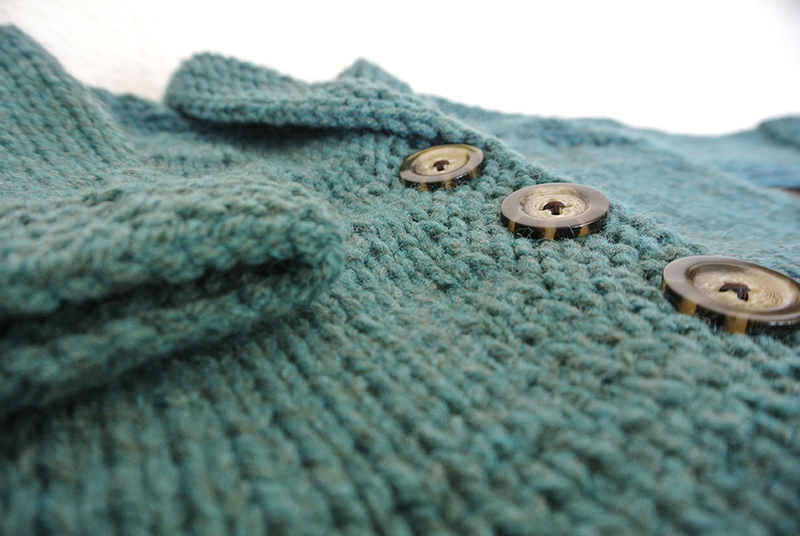 The yarn is an acrylic baby yarn (for easy washing) from Sirdar, in a slightly tweedy green. I made the larger size (6-12 months) as I have no idea how long posting something to China takes, nor (and more importantly) how big her babe is. I’d totally recommend this pattern, it was a super speedy knit due to the aran yarn, and the results are pretty cute if I do say so myself. And this was the other gift I knitted up. 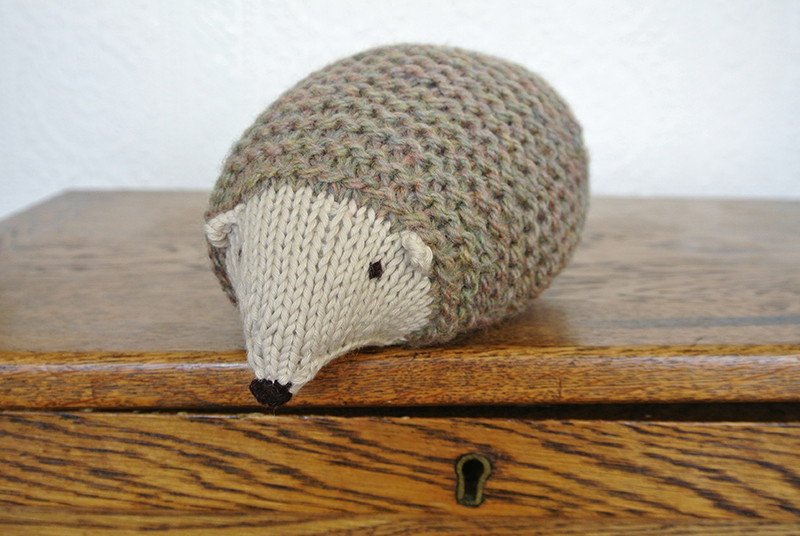 Hedgehogs were my favourite animal when I was a child, and I thought it would be a nice touch of English wildlife to send to Shanghai. 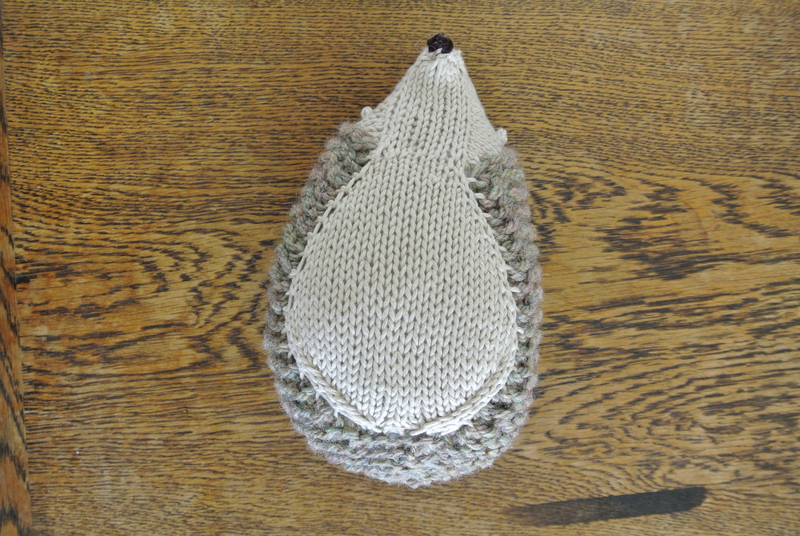 The pattern was free from Purl Bee, and the only modification I made was to make the ears smaller by one row. Others I had seen looked a bit pointy, and I wanted rounder, more realistic ears. 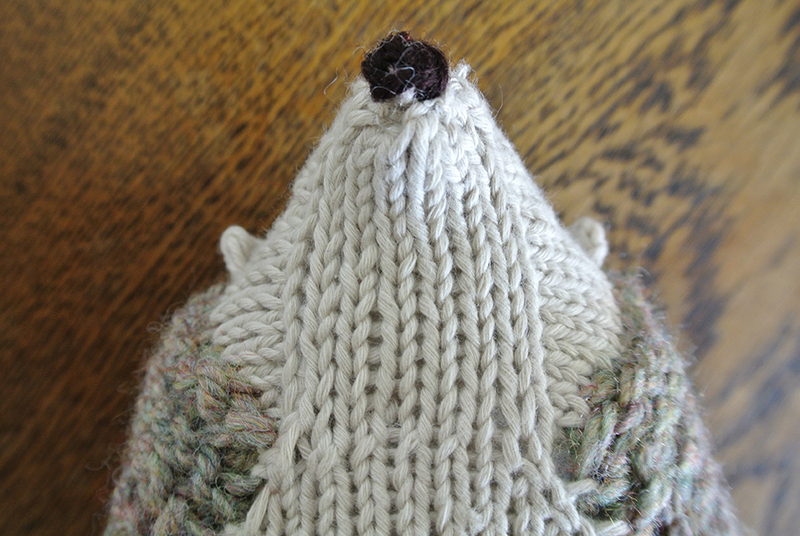 Again, this was a nice quick knit, although the initial nose part was really fiddly. Once you get a few cms in, it gets a lot easier. The yarn was pretty pleasing to work with. 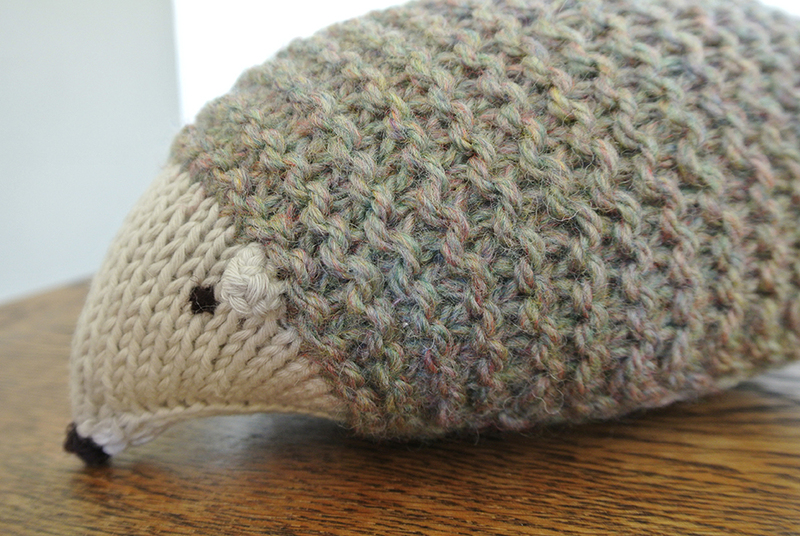 The body is a Sidar chunky click yarn, and is a really dreamy beige-pink-green-yellow-almost-tweed colour. Initially I was looking for a darker brown, but I’m happier I went for this lighter shade. The face and belly is a Sublime cotton dk yarn, and the eyes and nose are sewn on using a brown tapestry wool I just happened to have lying around. Specifics on my Ravelry page. Is anyone else joining in on the little people sewalong? On another note, I’ve recently joined instagram! So if you want a stream of upholstery related images, fell free to follow me!